UPDATED: Dec 2017 on sale 50% off throughout December. It's time to #lighttheworld with service throughout December. I love this time of year when everyone is busy looking for ways to help reach out and show love and kindness to others. I think kids naturally want to help others, but sometimes they feel limited on what they can do or they are stymied on who they can serve. 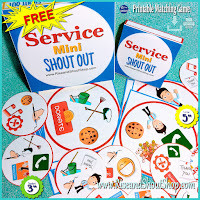 Service/Kindness Shout Out can help stimulate ideas while you play. Each deck has 31 ideas of how to serve, all through pictures (so even non-readers can play). To play, race to find the one, and only one match, on each card. When you're done playing, you'll be ready to go and do some good in the world today! 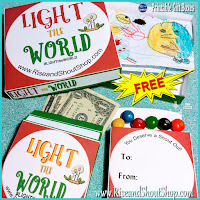 As an alternative, you can hand one card to a child and have them choose what they want to do on it. 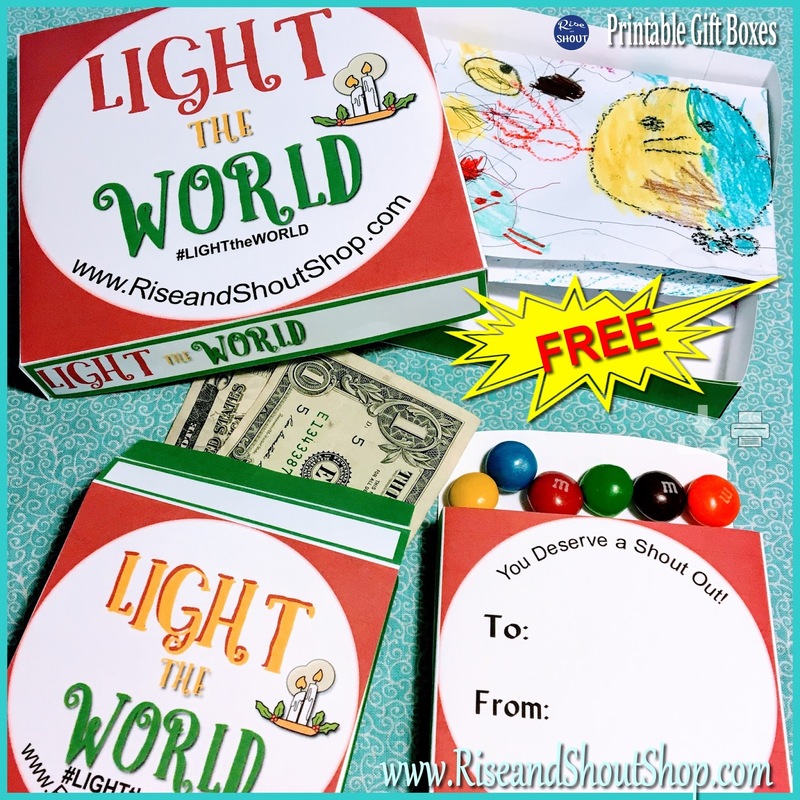 FYI - There are two backing options: "Service Shout Out" or "Kindness Shout Out". The printable storage boxes also come with both titles. So, call it whichever you want. I think character education is so important to our children, that I've also created a FREEBIE mini-Service game. It only has 13 ideas and cards, but is the perfect size to print out and send home with children. While printing in color is more fun, for large classes, you can also print in black and white. Students can cut out their own games in circle or square shapes. 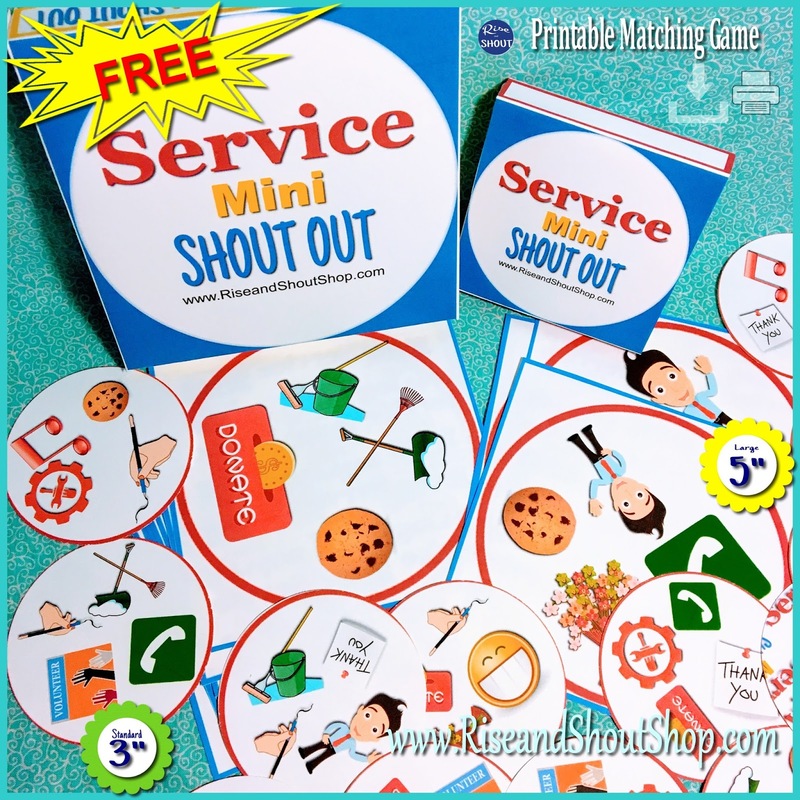 Download the FREEBIE mini-Service Shout Out Game. I'd appreciate it if you PIN or Share these games on Social Media. Thank you. Keep the "Christ"-mas Spirit this year!